For Leo, the prospect of traveling to Europa — Jupiter’s moon — to help resettle humankind is just the sense of purpose he’s been yearning for since losing his entire family in the flooding of Rome. Naomi, after learning of a similar space mission that mysteriously failed, suspects the ISTC isn’t being up front with them about what’s at risk. As the race to the final six advances, the tests get more challenging — even deadly. With pressure mounting, Naomi finds an unexpected friend in Leo, and the two grow closer with each mind-boggling experience they encounter. 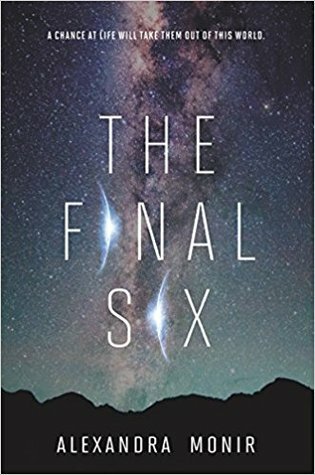 But it’s only when the finalists become fewer and their destinies grow nearer that the two can fathom the full weight of everything at stake: the world, the stars, and their lives.